Anthony Roldan joins HubSpot as the first engineer on our new mobile team. Not surprisingly, he'll be spending most of his time building HubSpot mobile apps for iPhone, iPad, and Android. In fact each of these should be showing up in app stores sometime in the next few months, which is pretty rad. Anthony is originally from Lexington, MA and went to college at Olin College in Needham. 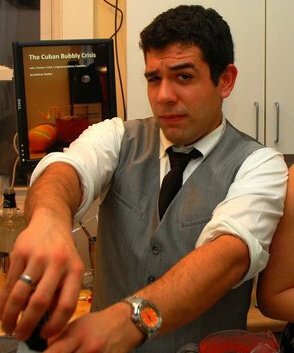 He comes to us from San Francisco, where he built apps for Second Glass, a wine events startup that runs the very successful Wine Riot events in Boston and around the country. Follow Anthony on Twitter at @aroldan or check out his periodically updated food blog Justice Kitchen.